I’m in love with this 1st birthday party. 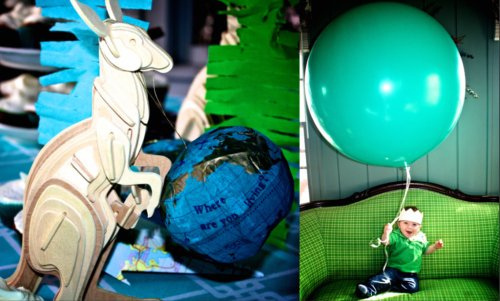 The invitations, the cute little boy, the colors, and the fact that it’s Australian-themed (such a cute idea!) is just divine! Last week I got a new niece who is half Australian so this cute little party made me think of my own mini-kangaroo relative. 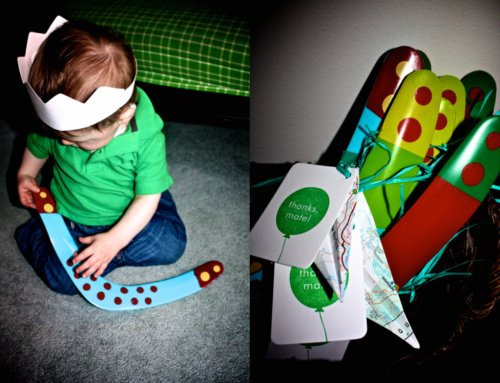 I am loving this little boy’s crown! And those wooden kangaroos are too fab! 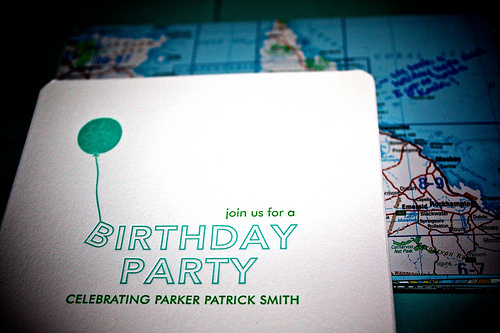 Suann of Simple Song Design used a map of Australia as an envelope which is just as darling as the invites themselves. What a super cute little party. And each mate was sent home with a boomerang. Fabulous! Thanks to You Are My Fave for featuring this. Toooootally adorable! 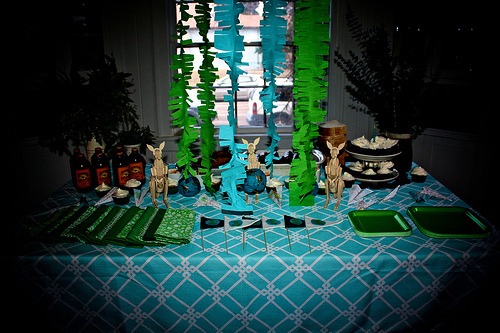 This entry was posted in kid's parties, not my party and tagged 2-year-old birthday party, australian-themed birthday party, birthday party for boy, kid's birthday ideas by Annika. Bookmark the permalink. That big balloon is awesome!!!! I want one…oh heck…I want twenty!